Preston Hollow’s volunteer advisory task force argued over Mark Cuban’s property during their latest meeting Wednesday night. The 10 acres Cuban has collected on the northwest corner of Preston Road and Northwest Highway have been a point of contention for several years. Now, city planners are looking at potential impacts of property development there. The North Central Texas Council of Governments (NCTCOG) and the City of Dallas ran two options for studying Zone 2 (the Cuban zone) by the task force: one baseline scenario, which remained focused around single-family homes and kept current zoning restrictions, and one alternative scenario. The alternative required a zoning change to incorporate a townhome development and a “well-designed open space buffering the development from existing homes” (according to the NCTCOG’s presentation) – an idea that was largely unpopular, at least with the more vocal of the group. 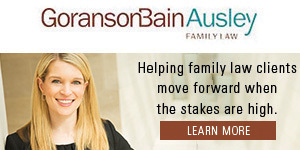 Former Mayor Laura Miller led the brigade against rezoning, insisting that, “there’s a consensus in Preston Hollow to keep single-family homes.” Names like the Horchows, the Simmons, and the Basses, were dropped in support of this consensus. The task force has always had a single-home bias. That’s partly why when Cuban mysteriously started buying up the properties in 2014, neighbors were not happy. And why saying “town home” in the task force meeting was a bit like saying “sprinkler ban”, or “Voldemort”. Except that – despite assurances that there was a consensus within the community – not everyone present agreed. That’s because if rezoning isn’t looked into at all, it seems like nothing will ever happen with that property. And being stuck in a deadlock is more likely to annoy Cuban’s neighbors than Cuban himself, who can just continue buying up Dallas if he feels like it. Another point, raised by task force representative Betsy del Monte: what happens to Northwest Highway? That is, city planners shouldn’t be studying anything without taking traffic into account. 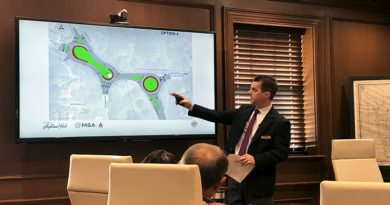 The problem with Northwest Highway is its infamous congestion; the problem it poses for the task force is that traffic has become the roadblock to every discussion the task force has. More retail in Preston Center? More traffic. More residential development in Preston Center? Possibly more traffic. More parking garages in Preston Center? Definitely more traffic. But the resistance got steamrolled by NCTCOG director of transport Michael Morris, who corralled the group by uniting them against their common enemy: Cuban. And so the consensus was struck. The task force landed on their recommendation to city planners not to study a potential development there. We don’t want town homes, and we don’t want to know what they would look like. The NCTCOG and the City of Dallas, will, however, continue to study in Zones 1 and 4, with respect to how to juggle traffic, parking, and revenue in Preston Center. More to come next month. Until then, thank god Cuban is planning a new Mav’s arena downtown. Obviously, we are going to need an additional task force for that.